Easier research tool: The Internet. Formerly my research consisted of going to the National Archives in Willemstad and The Hague and going through old documents one by one. After a while I gave up on the National archive in The Hague as they had so many petty rules and regulations that if you did have a morning free from scheduled meetings you would end up with at best one half hour to go through one old file or check a microfilm. On Curacao it was a much more different problem. So many people know me there that I had not well sat down to plan my few hours when one or more or even plenty more people doing their own research would enter the building, see me there, and come over to greet me. Even people from another office building saw me go there and later told me that they were wondering what I was doing there as I was accustomed to go by their building and quarrel about projects. Nowadays I have so many tools available to me via the Internet and from friends that I forget sometimes what all I have in my computer which has not been read as yet. Also with the computer you can brighten up the old documents and enlarge them so that reading documents from more than two hundred years ago is like reading a letter from a recent girlfriend. Just kidding. Sometime back Ryan Espersen who is doing his own research, shared with me a whole set of documents from the National Archives in The Hague. I had almost forgotten them and came across them by accident when I was looking for something else in the computer. Among those documents are the Vendue Register starting with the year 1780.In these Registers are recorded all the Public Auctions which took place, whose estate was being auctioned off, who were the participants in the auction and so on. Also I have historian friends who share information with me which they think I would be interested in. Recently my friend of many years and fellow historian Rose Mary Allen of Curacao was attending a conference of Caribbean Historians in the Bahamas. A gentleman from Puerto Rico presented a document at that conference which is of great importance to the History of Saba. I am in the process of contacting him to get permission to use his document. He found the information in the Spanish Archives in the lovely city of Seville . It concerns an incident which took place in 1654. It is quite extensive and informative. I have no problem reading and even translating this document from the Spanish and will do so later on. For now though I would like to suffice with sharing a tiny portion of the documents which Mr. Ryan Espersen has been so gracious to share with me. Besides this on the Internet I have found so many articles and books which I have been trying to get these many years and now I can read them at my leisure. I am also eternally grateful that I learned several languages from early on and can enjoy reading good novels and historical items in Dutch, Papiamentoe and so on. To give an idea of what I have in my computer still unread for the most part, here is just one item from the Auction Books. ” With consent of the Honourable Thomas Dinzey Esquire Governor of this island, this day is exposed to publick sale by His Honour a cask of rum belonging to Joshua Hassell that was seized for the Honourable West India Company through Peter Halley, neglecting not reporting the rum, he being the Master of the schooner “Three Friends”. This cask of rum exposed to the highest bidder. The cash to be paid the twenty second of this instant to the Vendue Master – Dinzey. The cask of rum bought by Madam for Peter Halley for 25 Spanish Dollars. * Now don’t ask me who the “Madam” is, her name is not mentioned, but it could be the wife of the Captain in order to recoup some of the money for the fine paid. I have just started going through the documents so I will have much more in future articles. 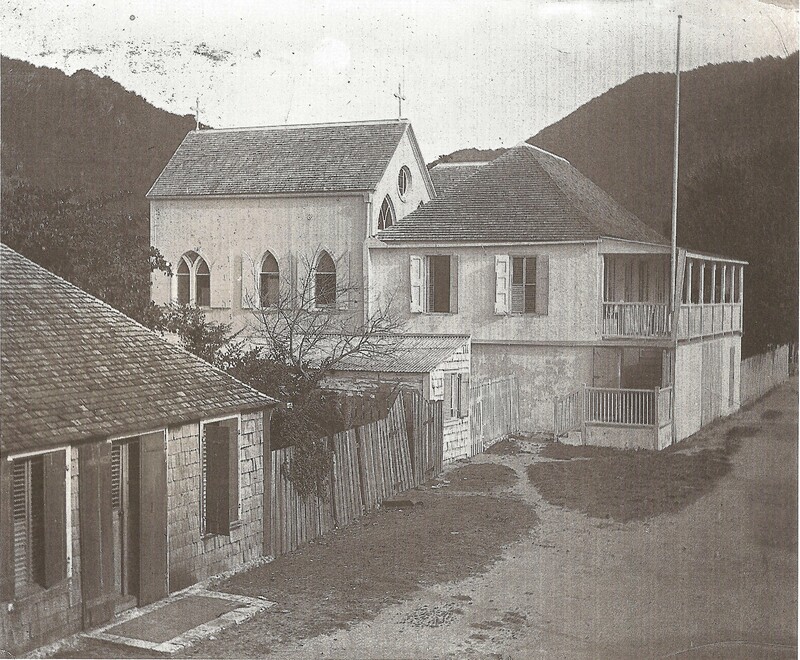 This is the former home of one of Saba’s best known owner of many schooners, Capt. Thomas Charles Vanterpool. 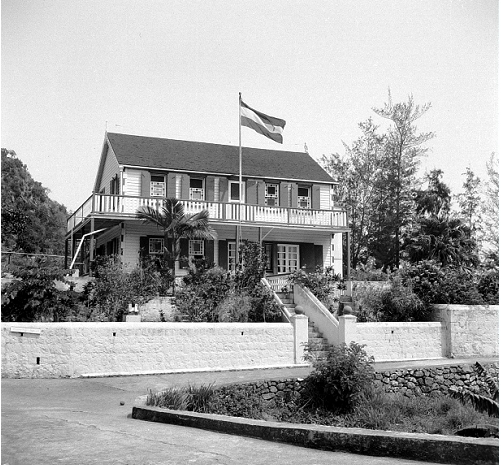 The home was finished in November 1900, and in the 120’s it was purchased by the Government for the official residence of the Island Governor a function it still has to this day. Capt. Vanterpool,s mother was a Simmons. 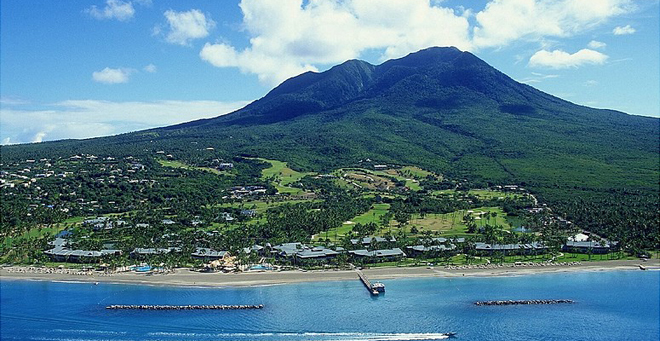 The first Simmons to be recorded in the Leeward Islands was Peter and Charles Simmons in St. Thomas in 1658. 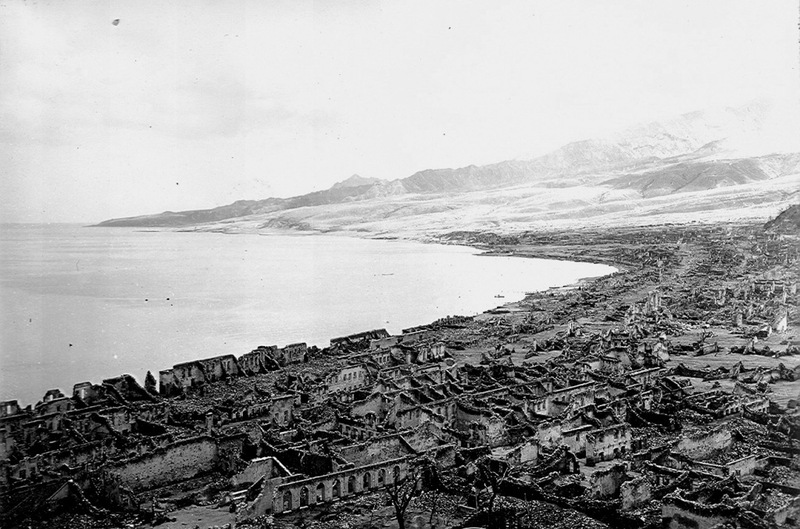 This father and son were soon recorded as living on Saba. 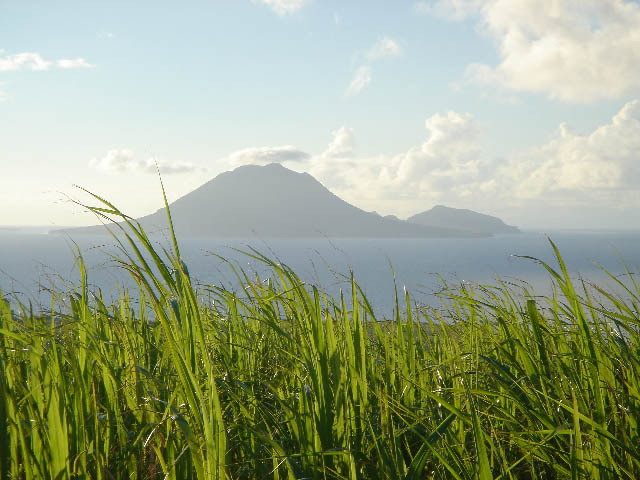 The Simmons family of Saba originated in the South of England. Some of them if not all had a Jewish background. Those with a Jewish background were usually spelled Simmonds, but many were also spelled the regular way. Sabans owned many schooner one hundred years ago, some of which were lost in hurriicanes. Here is the “Ina Vanterpool” owned by Capt. Thomas Charles Vanterpool and named after one of his daughters. 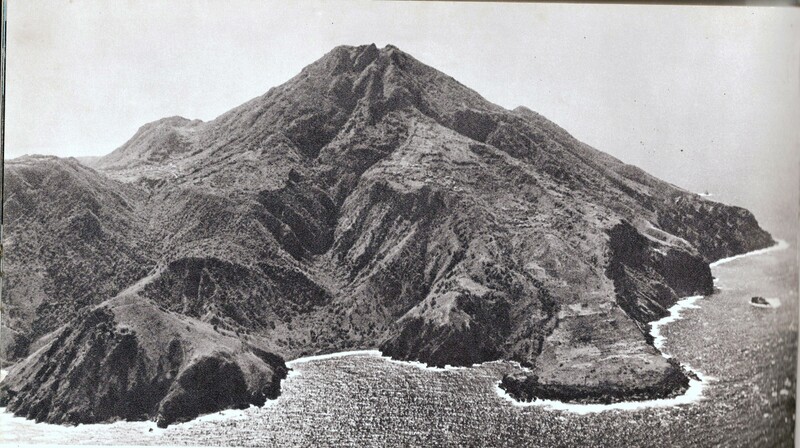 Lost in the 1928 hurricane in the roadsted of the island of St. Eustatius. 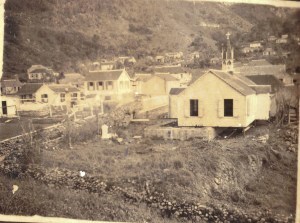 The Simmons’ played an important role in the history of Saba. They were Commanders, Island Secretaries, and Harbormasters (although technically Saba had no harbor as such) and they were active in the merchant marine. I understand from a now deceased cousin in New York that in his research one of Henry Morgan’s lieutenants when he captured Panama City was a James Simmons. He probably ended up on Saba as well when pirates from Jamaica captured Saba and St. Eustatius in 1665. On a list of creditors to the West India Company in 1686 there was a George Simmons and a John Simmons listed. In the population list of May 16th, 1699 there are two Charles Simmons’ father and son, the same for John Simmons and James Simmons as well as a Moddyford Simmons and a George Simmons. The Simmons’ of prominence in former times mostly lived in The Bottom where they owned much of the land and houses at the time. Especially along the road leading to the Gap on both sides of the road belonged to the various Simmons captains. Through intermarriage among the other white families they were also related to the Beaks, the Vanterpool’s, and the Leverock’s and to a lesser extent the Johnsons’, the Hassell’s. Zeegers’ and so on. 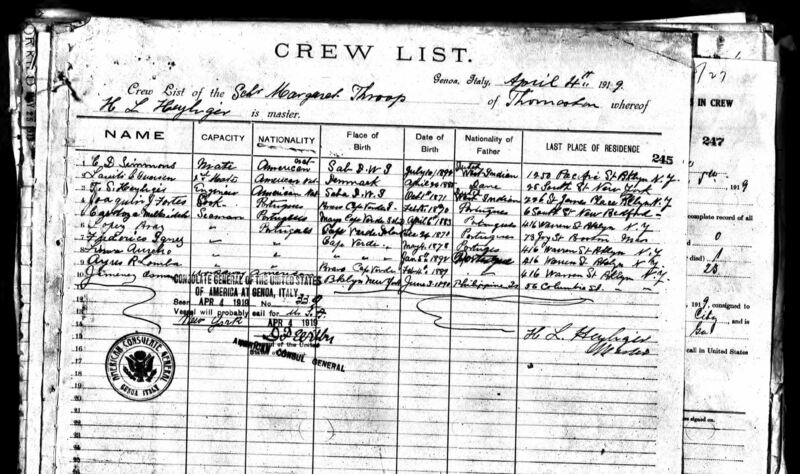 A crew list of the schooner Margaret-throop from 1919 whose Captain was Arthur Wallace Simmons and others from Saba. on this trip H.L. Heyliger was her Captain and Cameron D. Simmons was a mate. Click on the images to get a full frame. For this article I will highlight the life of only two of the many Simmons’ who were well known captains. 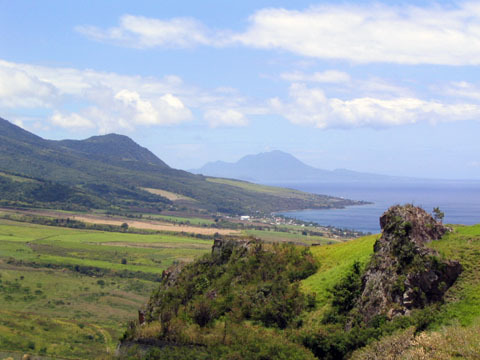 A young man from St. Eustatius recently told me that he had never known that Saba had so many captains. I told him that the Simmons family alone had provided enough captains to have commanded their own fleet if they had so wished. 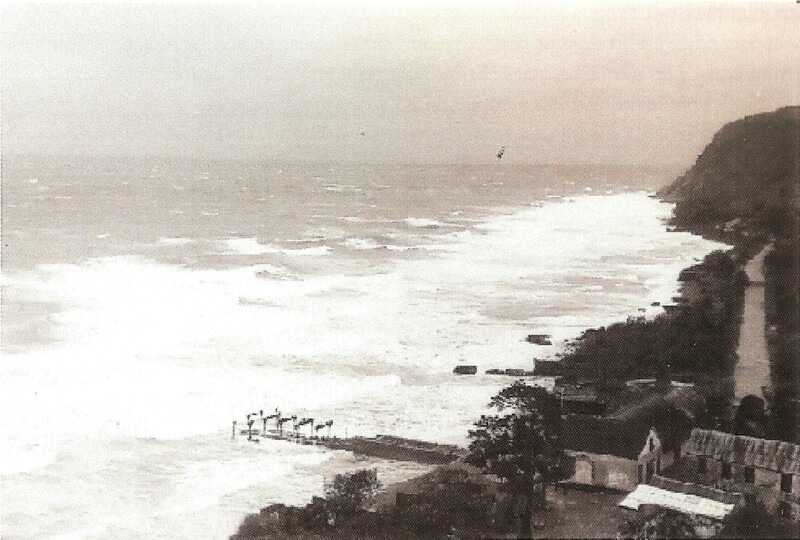 In World War I it was estimated that around 135 captains from Saba were serving in the United States merchant marine and on the Saban fleet of schooners at the time serving the rest of the Caribbean, out of Barbados and other ports. In a census taken in the year 1912, out of a total male population of 774, no less than 530 were listed as seamen. For this article I will highlight the life of Captain Thomas Simmons. He was the son of Joseph Benjamin Simmons (Black Head Joe), born on Saba march 5th, 1866, died august 31st, 1934, and Margareth Jane Simmons (“Maggie Jane). Schooner The “Mayflower” of which Captain Charles Reuben Simmons was her Master. 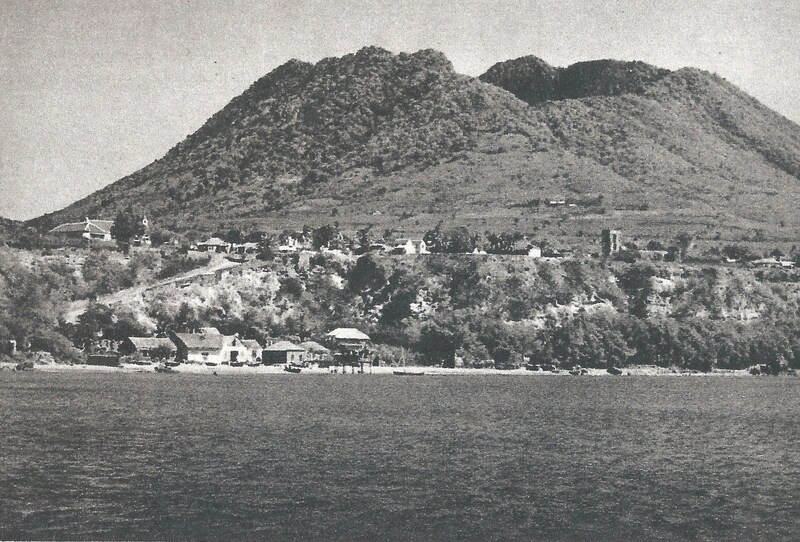 Pictured here around 1928 in the harbour of St. Eustatius. In loving memory of John Simmons, age 52 years. David W. Simmons, age 40 years, Richard R. Simmons, age 22 years, Isaac Simmons age 16 years. Lost at sea, September 1918. We cannot Lord, thy purpose see; but all is well that’s done by thee. Capt. 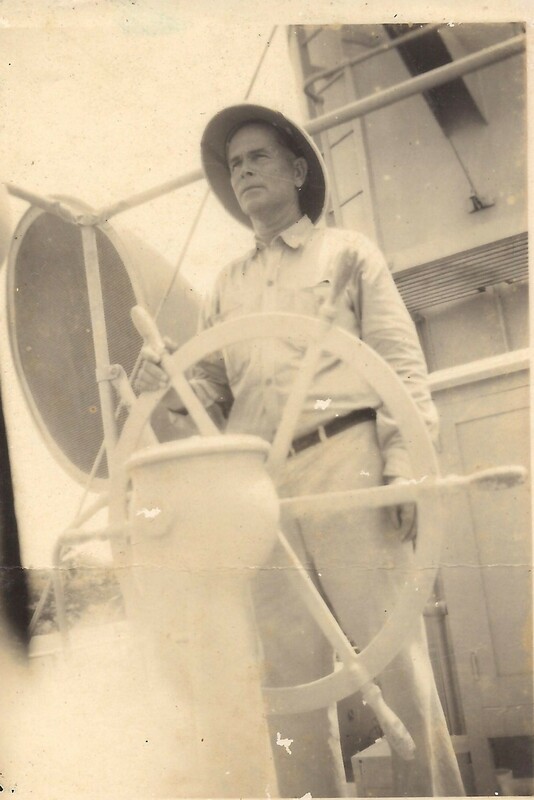 Evan Lambert Simmons was Captain of the S.S. “Maracaibo” when she was commandeered by Urbina a Venezuelan revolutionary who took the Governor of Curacao and dependencies as a hostage to Venezuela. John Simmons was captain of a Danish registered schooner from St.Thomas. The vessel and its crew were lost coming out of Miami. Richard 22 and Isaac 16 were sons of Maggie Jane. Capt. 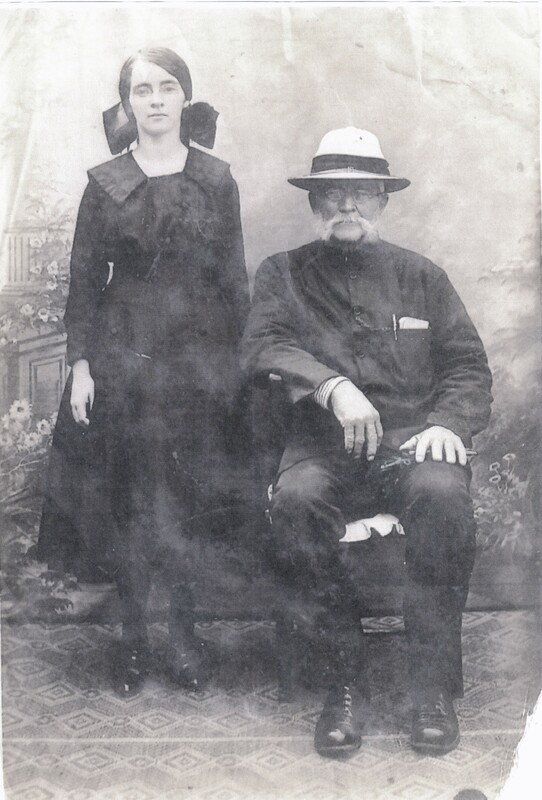 Samuel Augustus Simmons and his daughter. He was also harbourmaster. 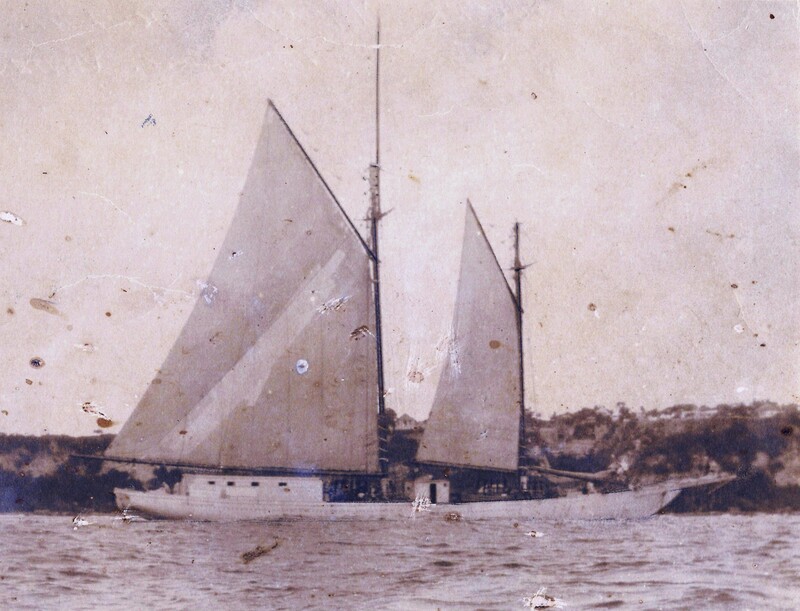 My uncle Herbert Simmons as a young teenager sailing with him on the schooner the “Georgetown” which in a race with another schooner from Curacao to St. Maarten made the 500 mile trip under sail in 48 hours. Captain Tom as he was fondly called worked his way up from a cabin boy on schooners plying the West Indian trade to ‘Commodore” of the Moore McCormick line. He went as far as second mate on schooners and then joined the American Hawaiian Line as Quarter Master. 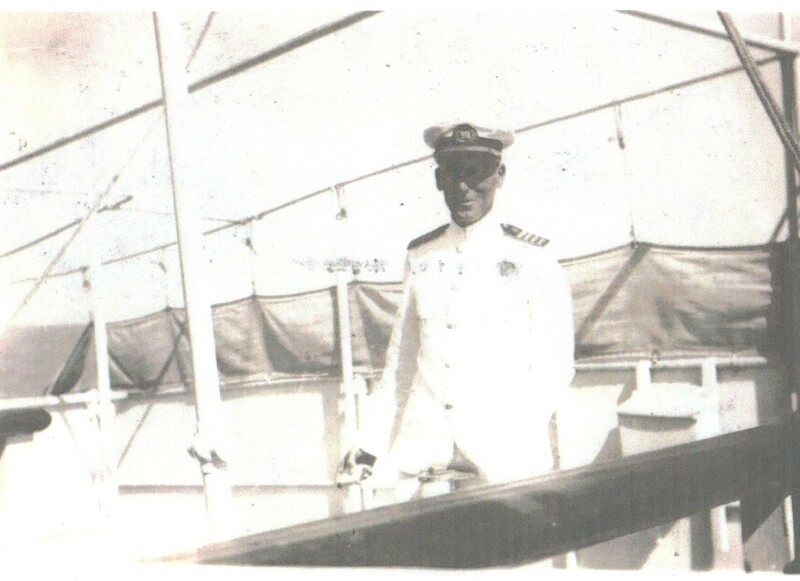 In 1917 he went over to the Munson Steamship Line as third officer on the passenger liner “Murio’. He later became captain and was in command on the maiden voyages of the old 32000 ton “Argentina” as well as the new 22,000 ton luxury liner by the same name. The old “Argentina”, under his command, was the first troop ship to enter the ports of Australia during World War II and to stand by for D-Day in England. He was Captain of various ocean liners such as the “Western World’, the “American Legion’, the ‘Southern Cross’, and the ‘Pan America’. He later became commodore of the Moore McCormick Line. He spent fifty-two years at sea and was awarded the highest decoration by Brazil to a foreigner. 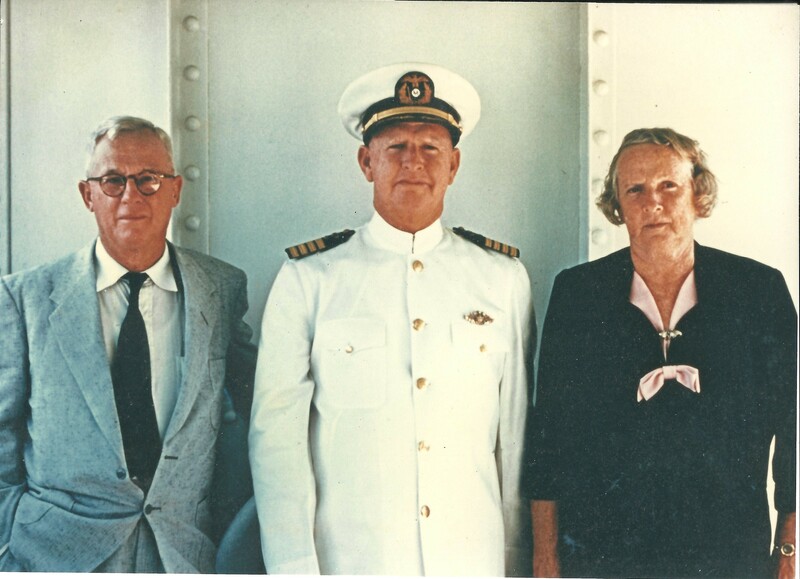 Commodore Thomas Simmons of the Moore McCormick lines with his brother Jim and sister Ottie when he retired from Moore McCormick. Rio de Janeiro – Commodore Thomas N. Simmons, who arrives tomorrow in Rio on his last cruise aboard the Moore McCormack liner ‘Argentina’, yesterday was awarded the Cruzeiro do Sul by the Government of Brazil. He received Brazil’s highest award given to citizens of foreign countries in ceremonies during the ship’s stopover in Salvador, Bahia, from the hands of Bahia Governor Juracy Magalhaes. 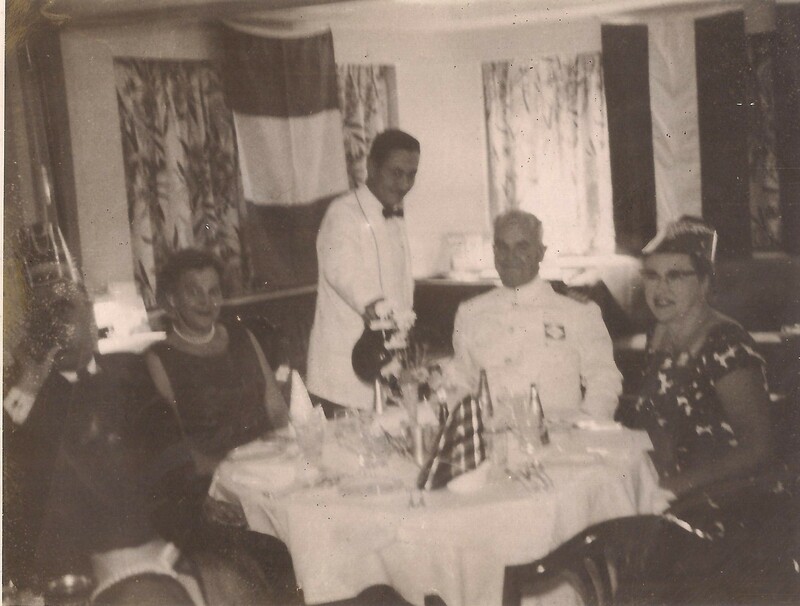 Commodore Simmons, friend and councilor to a myriad of international travelers, culminates 50 years on the sea on the SS.Argentina’s current “Sea Safari” cruise. This 63 day trip is Commodore Simmons’ last, as he has announced his retirement effective upon his return, April 17. And coincidentally another 50 years are celebrated in 1963 – the 50th anniversary of Moore McCormack Lines, founded in 1913 – one of America’s foremost steamship owners and operators, whose fleet includes the two new passenger liners, “Argentina” and ‘Brazil”, and 42 modern cargo liners. One of the many ships of the Rad D. Lines where Commodore Thomas Simmons started out as Captain. 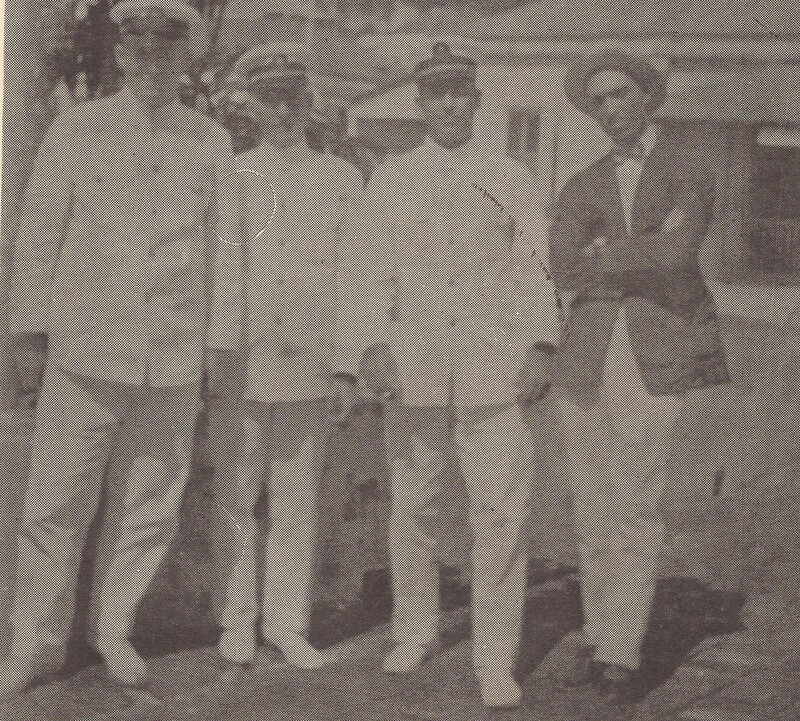 Captains Will, Jim and Engle Simmons pictured here with Governor Wim Lampe in the harbour of St. Thomas where Saba captains from the time of the Danes were harbormasters in that port. He was born in 1895. He met his wife Enid May Bruce in New York (she was born Montego Bay, Jamaica in 1902). She was a daughter of Captain Solomon “Butchy Coonks” Simmons of Saba and her mother was the daughter of the Scottish collector of Customs there. 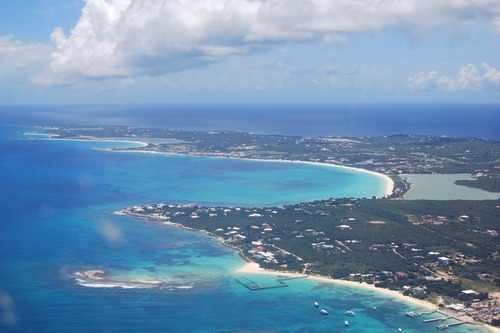 Only on his deathbed did Captain “Butchy Coonks” confess to his Saba family that he had a second family in Montego Bay. His son Captain Johnny Simmons went in search of the family and took the three girls to New York, two of which married Sabans. A son remained in Jamaica and lived to be a very old man. The home which now belongs to Norman Winfield was the home in which the Commodore grew up in. 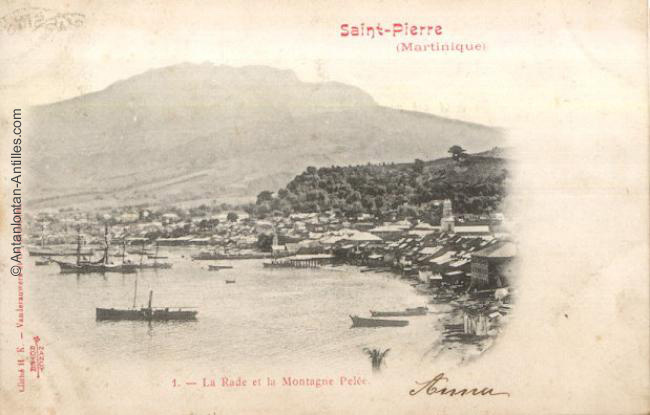 His descendants regularly visit the island and the home known as “Maggie Jane’s House.” One of Commodore Tom’s sisters (Elsie) was married to the well known Governor Xavier Krugers. Capt. Cameron Dudley Simmons with his Jamaican Saban wife and their children. One of his sons was also a Captain as well as his brother and father. The other Simmons Captain I would like to highlight is Cameron Dudley Simmons. He was born on Saba and his wife was Edna Blanche Simmons born 1904 and she also a daughter of Captain Solomon “Butchy Coonks” Simmons. 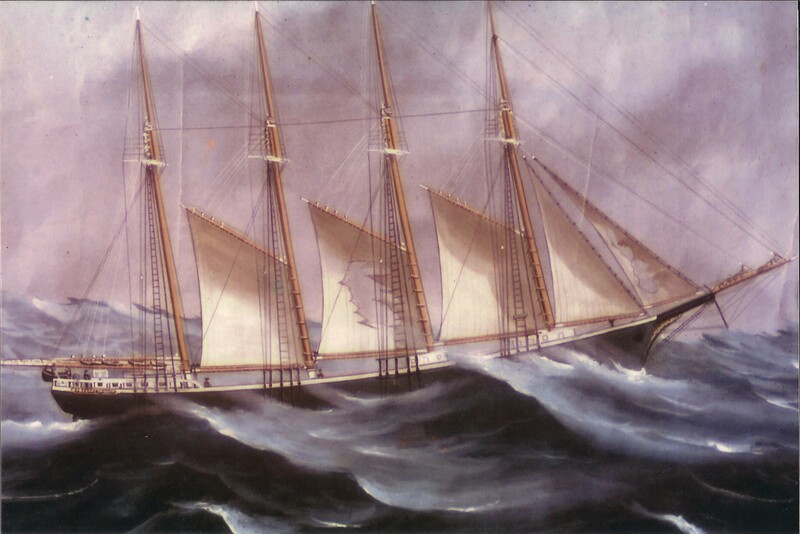 A painting of the lovely schooner the “Margaret Throop” which I have at my home. Capt. Arthur Wallace Simmons was at one time her Master. Many Saban sailors worked on her as well. He was a son of Captain Samuel Augustus Simmons and Mrs. Eva Simmons born Johnson. Captain Sammy was born on Saba and filled many functions in the Saba government administration at the time. His wife “Miss Eva” was born in Barbados. 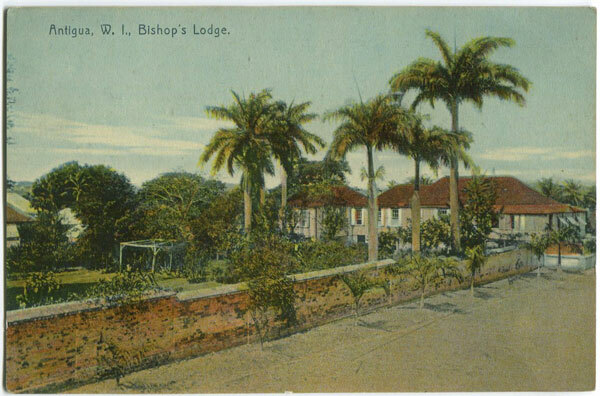 She was descended from a branch of the Johnson family who moved back and forth between Saba and Barbados. Whereas she was born on Barbados, her father William was born on Saba, and her grandfather also William was born on Barbados and so on. Miss Eva and Captain Sammy also lost three sons at sea. One of them Captain Harold Simmons was lost with his entire family in the Gulf of Mexico. He was captain of a molasses tanker which broke in two in a storm. They were able to get into lifeboats, one of which with a David Johnson from Saba made it safely to shore. I have the report made after the disaster happened and the lifeboat carrying the Captain and his family was lost with all on board. Earlier with Captain Ralph Holm on board as a mate Captain Harold was shipwrecked on a coal boat which sank on route from Philadelphia to Boston. On that trip all were saved. Another older brother, a third mate on a schooner was lost off Cape Hatteras. Captain Cameron Dudley Simmons was born on July 10th, 1892 and died on January 17th, 1945. 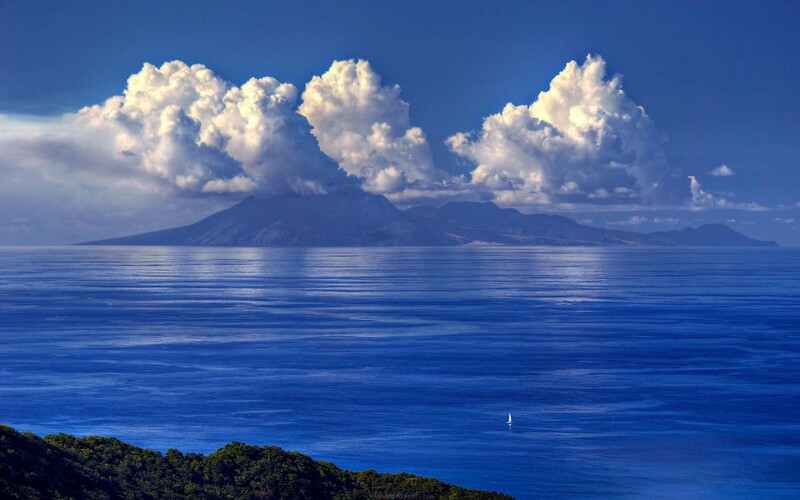 Dudley and his brother Samuel left Saba on a schooner sailing between the islands and New York. After sailing as mate on the schooner he then sailed with the American Hawaiian Line until he received his Master’s license. He sailed as Master on tankers and freighters. Some of the vessels which he commanded were the S.S. Antietam, S.S. Bulkco, SS. E.J. Nicholas (tankers) S.S. Alamar, S.S.Cubore (freighters). 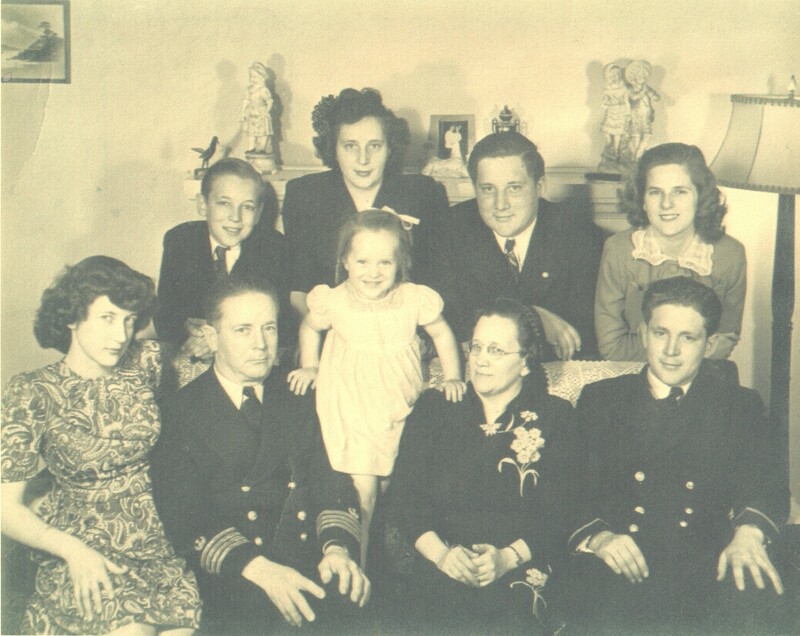 Just prior to World War II, Captain Dudley took the S.S. Laranaga from Boston destined for Murmansk, but just east of Iceland their convoy was wolf packed. The ship received a hit, but retained watertight integrity and went into Reykjavik for repairs. 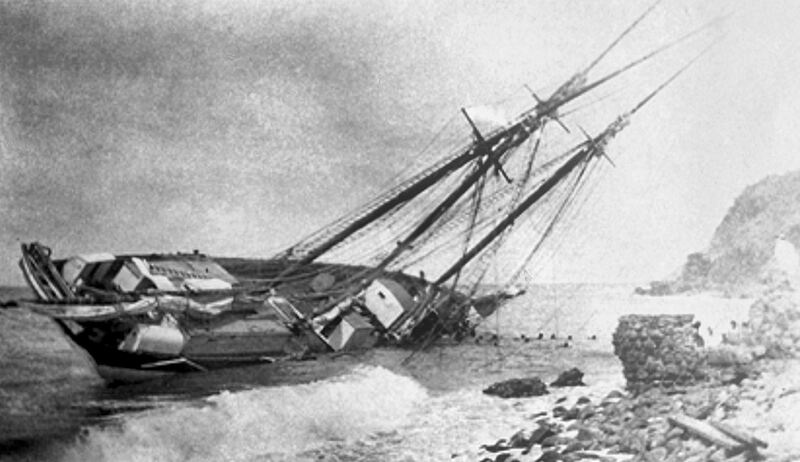 Captain Simmons went ashore but when returning to the ship on a launch he was injured. He was hospitalized for approximately three months due to a severely injured foot. When the ship returned from Murmansk it put into Reykjavik for him. In July 1942 he assumed command of the S.S. William Wirt, launched with two other Liberty Ships on the 4th of July of that same year. The ship loaded in Newport News, Virginia and the first of August set sail for the United Kingdom, arriving in Avonmouth, England. After discharging cargo the ship was sent to Newport, Wales to await loading for the North African invasion in November. 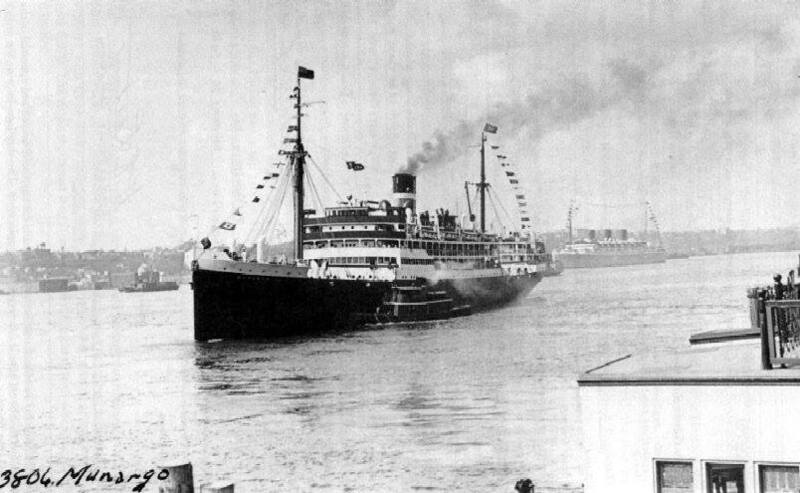 The William Wirt was the first ship to enter a North African port in the invasion. On the next trip from Liverpool to Phillipeville, Algeria the ship was hit in an air attack, but made port and was able to discharge cargo. From Phillipeville the ship sailed to Gibraltar for repairs and returned to the United Kingdom where a survey found the ship not fit to continue carrying cargo, so it returned to the United States. For this he was awarded the Medal for Meritorious Service. After a short vacation Captain Simmons commanded another Liberty ship until sometime in the spring of 1944. He then became Captain of the SS Point Loma, a seagoing tugboat. He served on this tugboat until his death of a heart attack in January of 1945. I have a copy of the logbook describing how he died at sea. He ended his career as so many from Saba did back then. He was buried at sea in the vast Pacific Ocean. These were Saba’s glory days. These people immigrated not for welfare but to contribute to the countries where they emigrated to. In future articles I will highlight the lives of such captains of Industry as Ned Peterson who was the Chief Financial Officer of the Cargill company which employed 110.000 people. He was the only non family member of the MacMillan clan to have held such a high position in the 150 year old company. Also Howard Hassell of St. John’s who worked on the atomic bomb, Prof. Eric Simmons (92) from whom only this past week I received a long letter, and Dr. Mozes Crossley a chemist. If you check his name on the internet they will tell you he is a famous United States scientist, though they do admit that he was born on Saba. Some of these people still have family on Saba who are proud to tell you of their family and what they were able to achieve with the challenges they faced and the limited resources Saba had to offer at the time. The question is, are we rising to the challenge now in our time of plenty? No, it was not “Pork Chop” or “Slippery”, “Sleepy”, “Rusty” or any of the multitude of West Indian characters which I have had to deal with in my long political career. I was having dinner at one of my favourite restaurants at the Maho. I was a bit worried as my Tanzanian dentist on St. Eustatius had done some emergency work on a tooth a couple of weeks ago, and referred me to dentist Halley for yet another extraction. I was not so worried about that part. What worried me was that I had read recently of a man my age who went to the dentist and remembers nothing after that. It was on the news and as my Grandmother would swear to that anything in print had to be the truth. The man can remember everything his grandmother told him when he was in diapers, but nothing since he left the dentist’s office. So certainly cause for concern and I was putting my fears to rest while consuming the best escargot served in the “New World”. Suddenly I heard a hard knock on the window opposite the booth where I was having dinner. An apparition appeared at the window. A ghost from the past. He had climbed up the side of the restaurant to greet me. How he managed that I still do not know. These characters have eyesight better than your avareage human being and can spot a politician from miles away. He had seen me from way across the street by the Casino where he hangs out. Once a long time ago I went into that casino to try my luck. I seldom do that. On my second try at the roulette the number I played brought home to me $700.– and immediately I was pounced on by the same character with the announcement:” Johnson, I want my share. When you win I win!” He had another nickname back then, either “Ivory Soap” or “Vitamin B. Complex”, I just cannot remember anymore what it was. While these thoughts were going through my mind the French waiter who stands outside to lure customers to come inside, came in my direction with an incredulous look on his face. Just a minute before my wife and I who both like President Obama were discussing the high and low points of his Presidency. The French gentleman then said: “You know Obama?” I thought he had overheard our conversation. But NO! The waiter from Santo Domingo told him: “Mr. Johnson does not want to see Obama, chase him away.” Well! It was only then that I realized that the apparition at the window high above the street level was “Obama” formerly known as “Slippery” or “Sleepy” or something of the sort. I saw him leaving down the steps outside after the Frenchman gave him chase. With more than fifty years in politics in the islands and as a writer I have accumulated my fair share of these sort of characters. I as a small island politician have also had the privilege to dine with Queens, Kings and a number of Presidents including Bill Clinton and George Bush, and Vicente Fox and most of the Latin American Presidents, and I feel a bit sad that when “Obama” wanted to dine with me he was put to chase by the French and the Dominicano. When we paid for the dinner I put a twenty dollar bill in my pocket. My wife said to me:” That’s for Obama right?” I said “Yes” thinking that I would see “Obama” on my way back to the hotel as I had to pass the Casino, but it was not to be as “Obama” had disappeared into the night. As I was writing this I felt something in my pocket. It was “Obama’s” twenty dollars and I will keep it handy for the next time when he climbs up the side of the restaurant to notify me of his presence.